Contact us via the Ask Us form or call 817-735-2070 between 8 AM - 5 PM on weekdays. Request biomedical literature from our collections or those of other libraries. The base fee is $5 per item, but additional copyright or lender fees may apply. See interlibrary loan / document delivery for more information about these services. Get a free library card that allows checkout of materials. We cannot page available items or ship checked out items. Access any of our print or electronic resources during your visit. Request a two-hour session on one of the designated Health Information Station computers or bring your own laptop. Library instruction classes are offered periodically on popular research tools such as PubMed. Get help with searching biomedical literature. 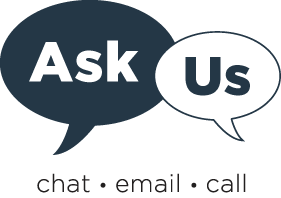 Request a search using the Ask Us form or call 817-735-2070. Visit the library during service hours. Please arrive before 9:00 P.M. and exit the building by the time the service desk closes. Sign in at the service desk upon arrival. Access to the 3rd and 4th floors after 6:00 P.M. and on weekends requires a valid UNTHSC badge. Park in designated visitor parking areas. See visit Lewis Library for more information.